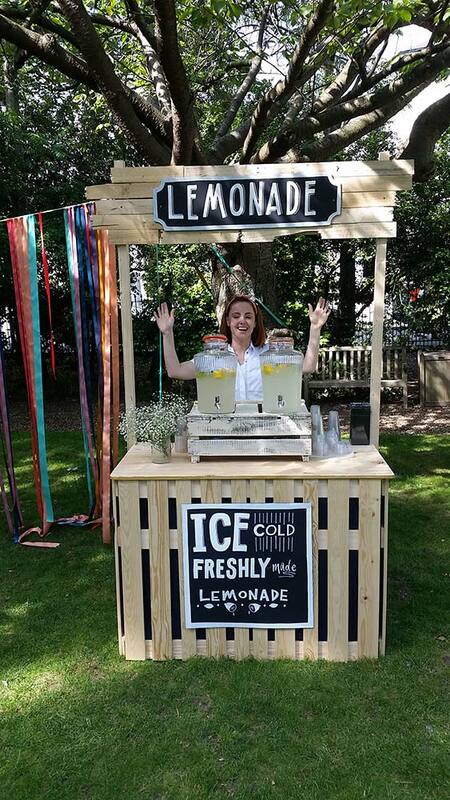 Just like those home-made stalls you see kids selling Lemonade in America from we have a lovely rustic style lemonade stall available to rent on its own or as part of a set at your event. We also have a Victorian cart version of this as well, email us and we will send you the pictures if we haven’t got around to adding them to the site yet. We got asked to make this for one of our customers and it has been a huge hit ever since. 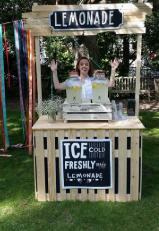 Nothing quite hits the spot like our freshly made lemonade on a hot summer’s day. We can also supply any other cordial you want with this or even just mineral water. The stall is available to hire with or without one of our operators. We have a range of matching rustic style stalls like this that can be sign written with whatever takes your fancy. They add a certain vintage old school charm to any event and since we introduced them to our hire fleet a few years back they have been very popular. They have a storage area underneath which is handy for storing items and supplies that might look unsightly if not hidden away.